I love mint, it tastes so fresh. 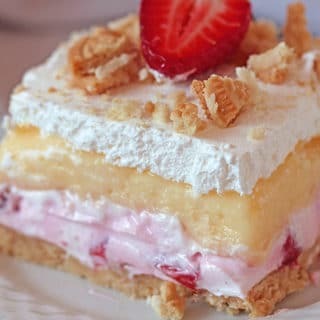 No bake, yet easy to make, it doesn‘t take to much time and you can enjoy its incredible taste for a few days. My family and I like light desserts. You can check out the rest of my mint recipes on my blog – Homemade Mint Chocolate Chip Ice Cream as well as the most popular cheesecake recipes – No Bake Chocolate Peanut Butter Mini Cheesecake and No Bake Layered Chocolate Mini Cheesecake. 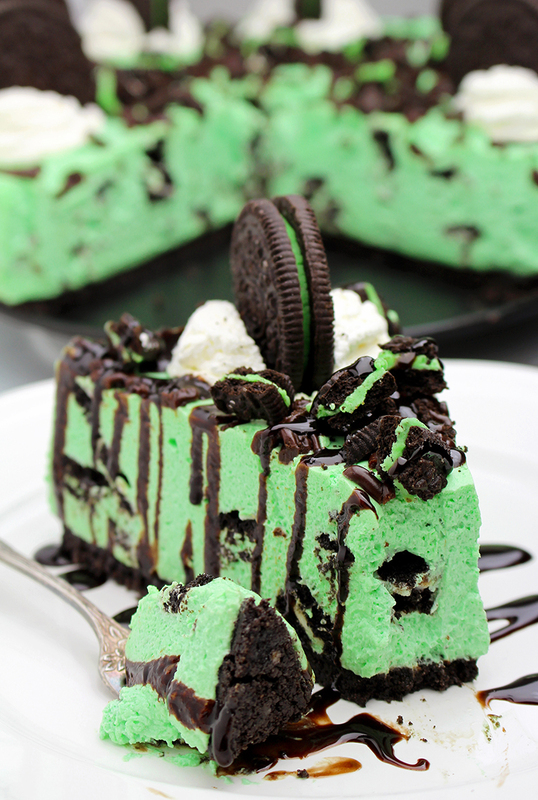 What do you need to make this No Bake Oreo Mint Cheesecake? There is a crunchy layer made of Oreo cookies, then mint cheesecake filling and chocolate at the top, with Whipped topping and lots of Oreo cookies. 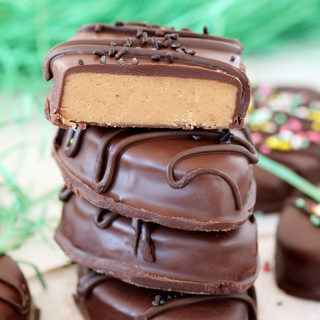 OMG so irresistible and yummy combination. 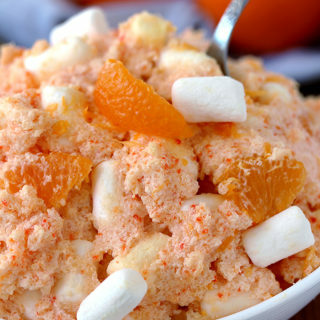 A few ingredients, half an hour and some positive energy is all you need to make this dessert. 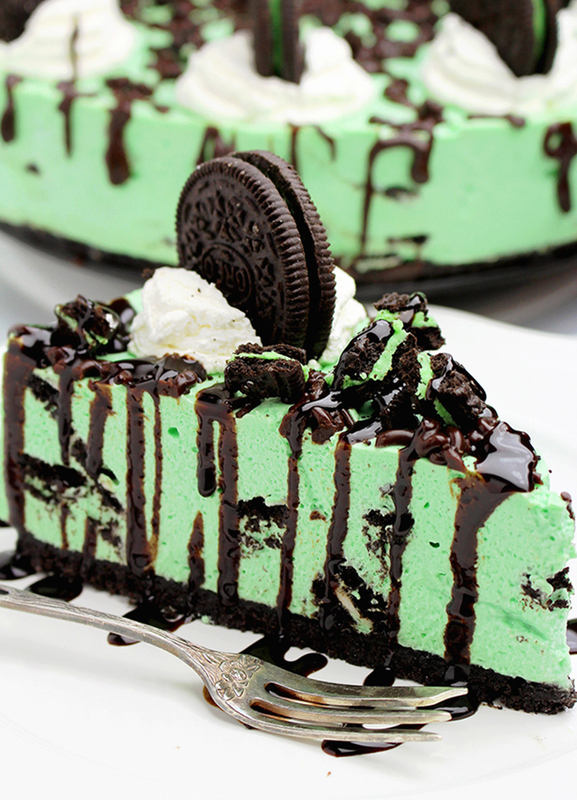 The only thing better than a mint oreo cookies is a oreo mint cheesecake dessert! 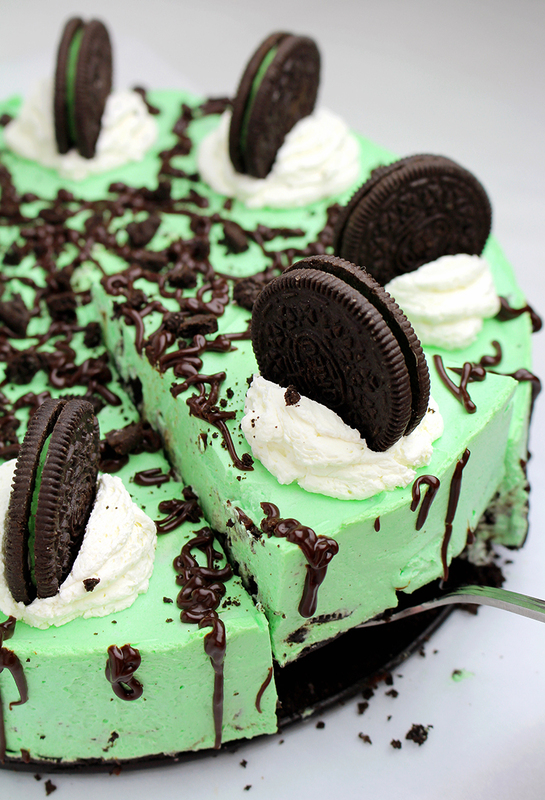 How to make this No Bake Oreo Mint Cheesecake? OREO CRUST – Put Oreo cookies in the food processor until finely crumbled. Add melted butter and powdered sugar, stir well. Put it in a springform pan (I used a 9 inch), spread evenly and press using hands or some solid object, a glass, for example, to get a solid layer. Set aside. MINT CHEESECAKE FILLING – Melt white chocolate following the instructions given on the package and leave aside to cool. Crumble 10 Oreo cookies and put aside. In a large bowl mix cream cheese, powdered sugar, mint extract and green color with an electric mixer at a medium speed, for about 2 minutes, until you get fine, creamy mixture. In a separate dish mix heavy cream with an electric mixer at a medium speed, for about 2 minutes, and then at a maximum speed for 1-2 minutes more. Add melted chocolate to the cream cheese and mix until well combined. Add ½ mixed heavy cream and continue to mix until all the heavy cream is added and the mixture is well combined. Add crumbled Oreo cookies and stir with spatula. 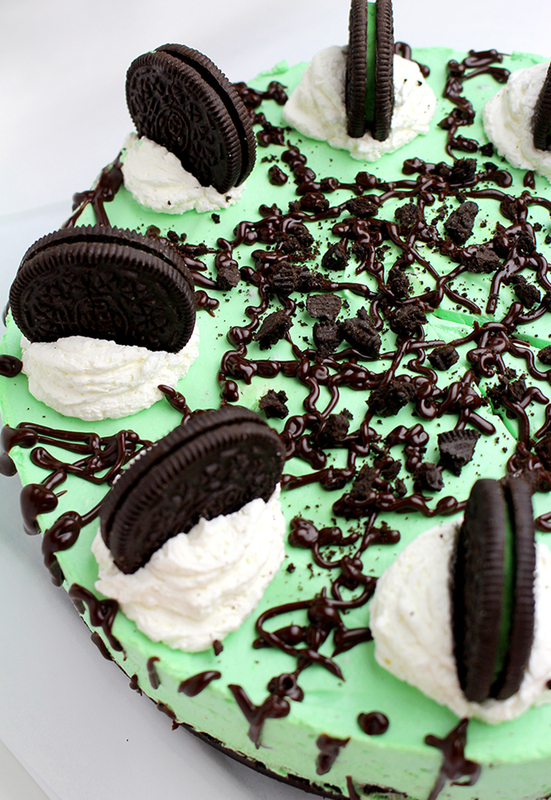 Spread evenly over the Oreo crust and leave in a fridge for at least 4 hours, possibly overnight. GARNISH – Melt semi sweet chocolate following the instructions on the package, add powdered sugar and heavy cream and combine well. Drizzle with melted chocolate and add a dollop of whipped topping and Oreo cookies. 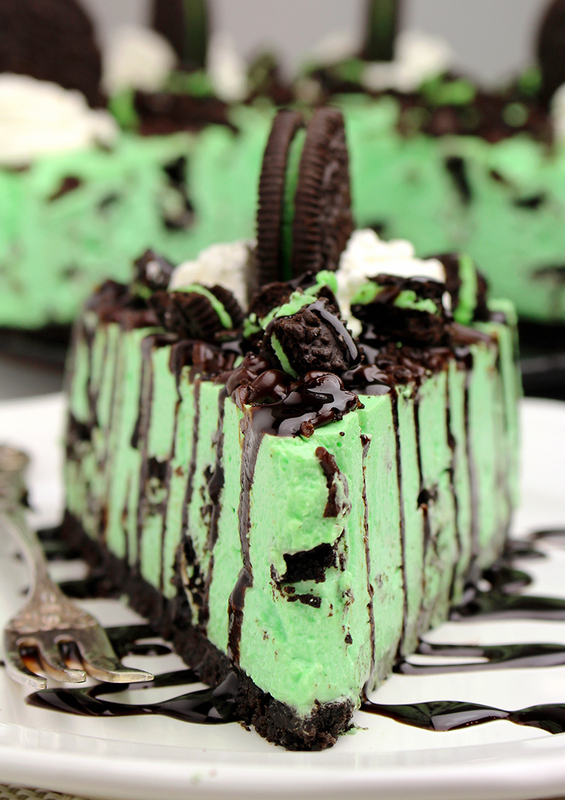 So simple and incredibly easy to prepare this No Bake Oreo Mint Cheesecake. Filled with the cheese cream, chocolate and heavy cream, this rich oreo mint cheesecake is sure to be a holiday fan. OREO CRUST - Put Oreo cookies in the food processor until finely crumbled. Add melted butter and powdered sugar, stir well. Put it in a springform pan (I used a 9 inch), spread evenly and press using hands or some solid object, a glass, for example, to get a solid layer. Set aside. MINT CHEESECAKE FILLING - Melt white chocolate following the instructions given on the package and leave aside to cool. Crumble 10 Oreo cookies and put aside. In a large bowl mix cream cheese, powdered sugar, mint extract and green color with an electric mixer at a medium speed, for about 2 minutes, until you get fine, creamy mixture. In a separate dish mix heavy cream with an electric mixer at a medium speed, for about 2 minutes, and then at a maximum speed for 1-2 minutes more. Add melted chocolate to the cream cheese and mix until well combined. Add ½ mixed heavy cream and continue to mix until all the heavy cream is added and the mixture is well combined. Add crumbled Oreo cookies and stir with spatula. Spread evenly over the Oreo crust and leave in a fridge for at least 4 hours, possibly overnight. GARNISH - Melt semi sweet chocolate following the instructions on the package, add powdered sugar and heavy cream and combine well. Drizzle with melted chocolate and add a dollop of whipped topping and Oreo cookies. White chocolate is mixed into the filling, while semi sweet chocolate is used for garnish on the top.